We’ve waited quite a while for this kind of weather and we couldn’t resist just posting a few pictures of the garden this morning, bathed in glorious sunshine. There is approximately 5 hours in between the Royal Wedding and the FA Cup Final where we hope to see some people down at the Tithebarn Workshops! We would like to wish everyone a very happy day, which ever event you prefer and look forward to seeing you soon. We recently heard of the impending departure of Daryl Jones from her position as Tourism and Events Officer for Bradford Town Council. She will be moving onwards and upwards to Chippenham Council at the end of this month. We at the Tithebarn Workshops would like to thank Daryl for all her hard work and endless enthusiasm towards the promotion of this town and in particular her inclusion of the Workshops in the events and activities. You will be sorely missed Daryl and we would like to wish you all the very best in the future. We look forward to meeting and working with the incoming Officer soon. 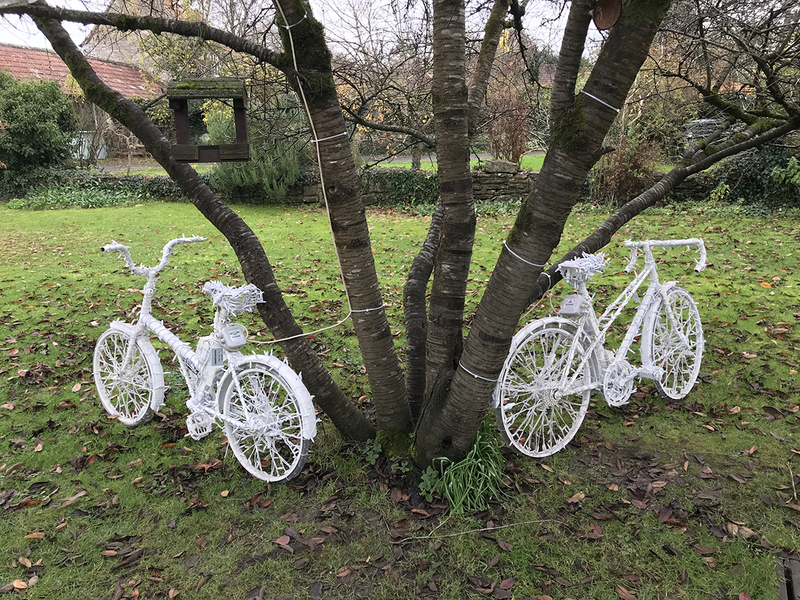 The Christmas bikes are lit and the units are busy with shoppers at the Tithebarn Workshops. There is a great selection of gifts to choose from at the various shops, with each one stocking a unique range of items for that perfect present. We will be open right up to Christmas Eve including another late night shopping event on Sunday 17th December to coincide with the Sing-around the Christmas tree at the Tithe Barn. We can’t wait for it to get dark now to try them out properly! It’s great that they are all installed and ready for our first late night Christmas evening on 28th November. A big congratulations to Felix (Corner Gallery) for this excellent piece in the Acoustic Magazine. Why not pop down to the Tithebarn Workshops to see AGI’s current range of bespoke hand crafted guitars at the Corner Gallery. This year the Tithebarn Workshops and the Granary are getting together and will be opening for two evenings of late night shopping for their customers. 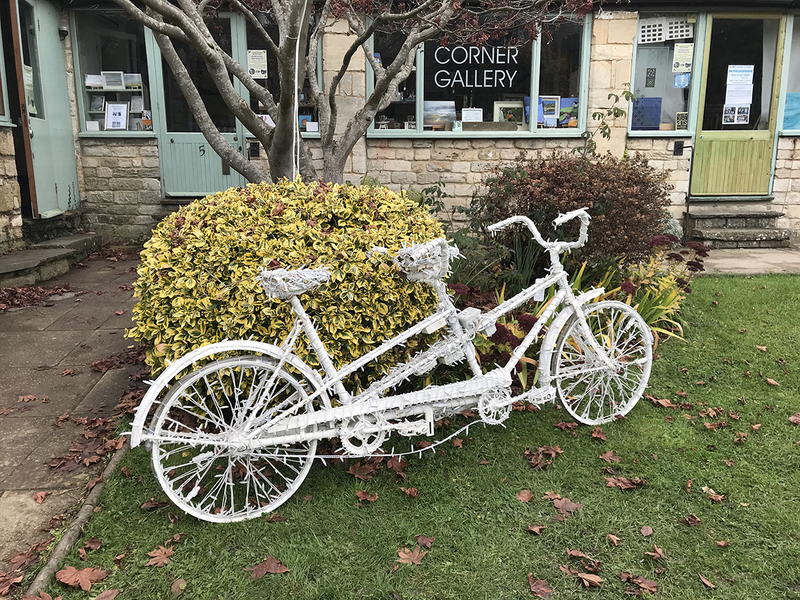 The first night on Tuesday 28th November is to coincide with the Christmas lights being switched on in town, so you will be able to enjoy the delights offered in the centre and also down here at Barton Farm all on one evening. 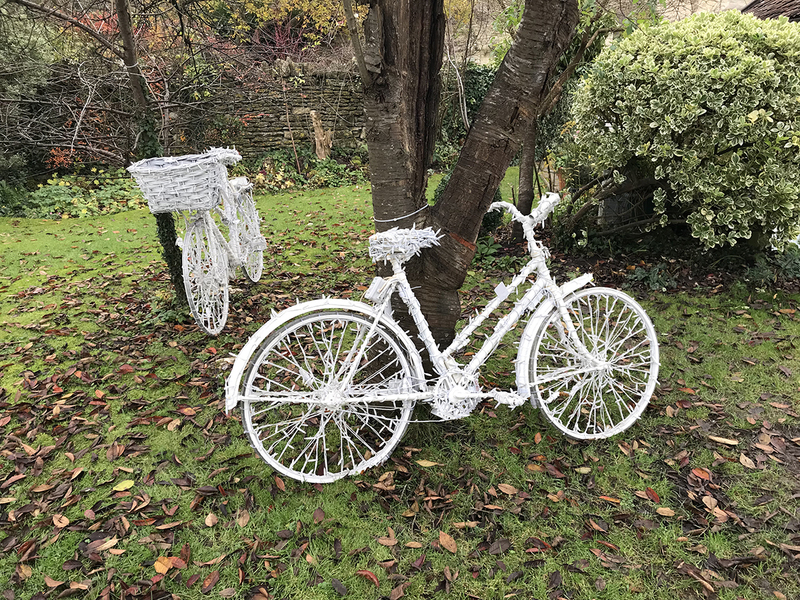 The second is on Sunday 17th December when we will be joined by members of the Bradford on Avon Preservation Trust and the public for a sing around the Christmas tree outside the Tithe Barn. This beautiful event was very well attended for its first year last Christmas and good crowds are expected again this time around. We will be offering Xmas nibbles and drinks for you to enjoy while you browse and the range of festive products and gift ideas at the Workshops and Granary will certainly tick a few people off your Christmas pressie lists! If you would like any further information please feel free to contact us at any time and we look forward to seeing you all soon. If you’re looking for something to do in Bradford on Avon today, why not pop down and meet the new owners of the Granary in the Barton Farm Country Park. A big welcome from everyone here at the Tithebarn Workshops. Well, we had a whole raft of wood related puns lined up for why the kids park was closed behind us here at the Tithebarn Workshops. And now, this morning, a large Council truck load of wood chips arrived to sort the problem out! Apparently, there was not enough coverage of bark should anyone fall off the swings etc. As you can imagine there’s been quite a bit of… ‘It wasn’t like that it my day’ being muttered around here! Anyway, things are all good again and we won’t be losing any business now due to the closure… see you soon. Now in its second year the Kennet and Avon Canal Floating Market is an event not to be missed. Boats and stalls selling goods made aboard from handicrafts to food to brass and woodwork. Entertainment from the canal community’s wide range of talented musicians and bands. Facepainting and workshops in juggling, ropework and shantys. Learn to play the spoons! Visit the Floating Salon for a pamper. The market is open from 10am to 6pm both days and we hope to see everybody down in the area for a great time.